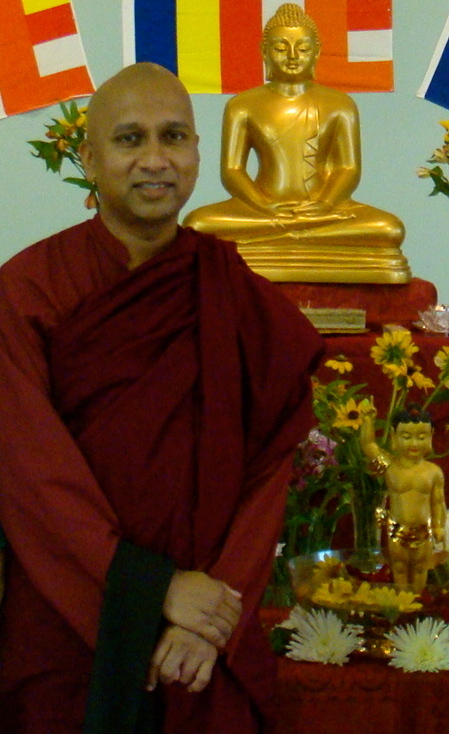 Bhante Upananda is visiting Glasgow on Saturday the 15th of June, and we will be having a special sermon at the Vihara that day at 5:15pm. All are welcome. Born and raised in Sri Lanka, Venerable Dedunupitiye Upananda was ordained at age 14, and received full ordination from the Asgiriya Supreme Sangha Council, Kandy, Sri Lanka, in 1987. He earned his BA in Pali at the University of Kelaniya in Sri Lanka, and MA in comparative religion at Florida International University, Miami. Formerly a lecturer at the University of Kelaniya, Ren Ci Institute in Singapore and at Florida International University, he is currently doing his graduate studies at the University of Cambridge. There will be a funeral service for Mr Gandis' mother (Mrs Periyasami), who passed away last Saturday, before the sermon, at 5:00pm.